2006 preview of the Dallas Cowboys pro football team from the Maddux Sports professional handicappers. Don't forget Maddux Sports' expert handicapping tips once the NFL Season rolls around for Winning NFL Picks and be sure to view our free NFL odds page featuring live up to date point spreads from 16 quality sportsbooks. It’s been a decade since the Cowboys have won a playoff game and fans are starting to wonder—are we there yet? There’s optimism over QB Drew Bledsoe after his initial season in a Cowboy uniform. Bledsoe (499 ATT, 300 COMP, 3,639 YDS, 23 TDs, 17 INT) performed well under coach Bill Parcells. He finished 8th among NFL quarterbacks, but he also finished 2nd in most interceptions (17) and 2nd in sacks (49). Bledsoe, a true talent, continues to be prone to making mental mistakes, holding onto the ball too long and being immobile in the pocket. There’s a very talented new face in Dallas—Terrell Owens (47 REC, 763 YDS, 16.2 AVG, 6 TDs). Parcells won’t take anything from the temperamental, unpredictable Owens. T.O. is capable of being a game breaker, but he’s also able to destroy the team on which he’s playing. He’ll be part of a receiving unit that includes former malcontent Terry Glenn (62 REC, 1,136 YDS, 18.3 AVG, 7 TDs) and Pro Bowler Jason Witten (66 REC, 757 YDS, 11.5 AVG, 6 TDs). This group is deep on talent. Running back Julius Jones (257 ATT, 993 YDS, 3.9 AVG, 5 TDs) has the moves and the drive but also possesses the injury bug. Marion Barber (138 ATT, 538 TDS, 3.9 AVG, 5 TDs) is an excellent second man carrying the ball. When the ultra-dependable Flozell Adams went down last October with a torn ACL, the usually tough offensive line turned soft. Adams is not ready to start yet and neither is the line. Overall, the Cowboy “D” proved to be solid. Chris Canty and Marcus Spears had fine first seasons in Cowboy uniforms and Greg Ellis and DeMarcus Ware recorded 8 sacks each. former Jag Akin Ayodele, an aggressive tackler, has been added as an ILB. At the corners, Anthony Henry, Aaron Glenn and Terence Newman combined for 35 deflections and 10 interceptions. At safety, Keith Davis and Marcus Coleman should have things under control. Parcells has developed the Cowboys into a contender. Dallas plays a 2006 schedule that’s fairly light, which will certainly help this team be playoff bound. This is the best division in football and any one of the 4 teams realisticly could win the NFC East. We will call for the Cowboys to finish 2nd and make the playoffs as a wild card. For more info on the Cowboys NFC East division rivals check out the Giants, Redskins, and Eagles team previews from the MadduxSports.com experts. For more info and news on the 2006 Dallas pro football team visit the Cowboys team page at NFL.com. We have broken down this seasons 2006 NFL preview into the divisions and from there you can see our predictions as well as individual team previews of each National League Football Team. Click here to return to the main 2006 NFL season preview page. 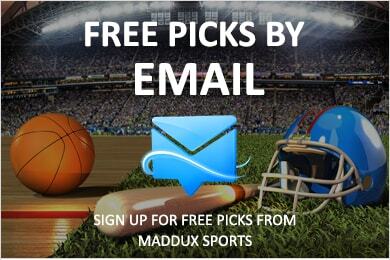 NFL Football Picks at Maddux Sports!